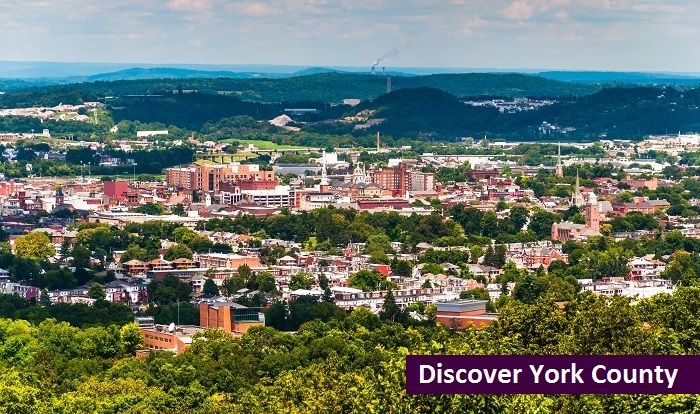 Discover the thriving arts and culture scene in York, Pennsylvania. Visiting local art exhibits and historical museums are the perfect way to spend your weekend this winter. Whether you prefer paint, glasswork, photography, multi-media, heritage, or history York city has an exhibit for you. The York Arts Association was founded over a century ago in 1905 by a group of local artists to inspire the creation of visual arts and appreciation of its unique beauty. Community members and visitors alike are encouraged to visit the newly renovated facility to view exhibits that rotate monthly. Antiquita Glassworks uses recycled or found glass to create hot fusion art glasswork. They specialize in creating a variety of pieces ranging from jewelry, to home accents, to sculptures. Visit their local shop on your next outing. The Parliament, a unique nonprofit community arts collective, is a core cultural staple in the Royal Square neighborhood of York. The collective features local emerging multimedia artists and features new exhibits each month. Marketview Arts is a 2.9 million dollar creative space in the center of Downtown’s Cultural District. This cultural anchor hosts four levels of dynamic art featuring local artist studios on the lower level, The Pennsylvania Arts Experience Exhibition Gallery on the first floor, York College working studios on the second floor, and Gallery Hall, a multi-purpose event space on the third floor. The heart of Central Pennsylvania’s economy is centered on agriculture and industry. Discover how our ancestors navigated these industries at theAgricultural and Industrial Museum. Observe centuries old agricultural artifacts that were produced and used in York County. Tour a three-story gristmill and a 1937 Aeronca K airplane. Visit the Fire Museum located in the historic Royal Fire House. Travel through time over the past 200 years of firefighting in York County. Exhibits include vintage fire trucks, horse drawn fire carriages, photographs, and firefighter uniforms. The Weightlifting Hall of Fame is uniquely located in York County. Learn about the evolution of the strength sport history and its role in the Olympic Games. Exhibits are dated from the early 19th century to today’s weightlifting and bodybuilding. Shovel. Spread Salt. Repeat. One of the best ways to help prospective buyers forget about wretched winter weather, so that they focus on your home, is simply to remove it. When your home is on the market during winter, it is important that you keep your driveway, sidewalks and any other walkways around your home snow-and-ice-free. This also includes keeping your gutters clean, so that no ice dams form. You never know when you may have a showing, so your snow removal and prevention routine needs to be around-the-clock while your home is listed and all throughout the closing process! Keep the Weather Outside. Though you may remove every bit of visible snow from your walkways, shoes are bound to track a little snow, water or salt inside. While your home is on the market during winter, you may need to spot-clean your floors on a regular basis to remove any signs of winter that may get tracked inside. You can avoid salty, wet floors while buyers are browsing through your home by asking them to remove their shoes or providing prospective buyers with slippers or shoe covers to wear while touring. Don’t worry about offending them; buyers will appreciate the cleanliness! Crank up that Heat. Once prospective buyers step into your home, winter’s cold should be the last thing on their minds. They’re there to envision themselves living in your home, so make sure it is WARM and inviting by keeping the thermostat at around 70 degrees. You also can help to set the ambiance for prospective buyers by keeping your home well-lit, lighting the fireplace and strategically placing a few oversized throws on the furniture. Do whatever you can to encourage buyers to think warm thoughts while inside your home this winter. Highlight Your Rooms. Whether it’s a finished basement that you’ve turned into a den, a game room or a child’s playroom that can be used to ward off cabin fever during winter, make sure you and your real estate agent are highlighting every winter-friendly aspect of your home. When the weather outside is frightful, make sure prospective buyers know every delightful thing they’ve got to keep them entertained indoors! Showcase Outdoor Havens. Although the last thing many of us want to think about when it’s blustery and cold is spending more time outside, home features like a screened-in porch or outdoor fire pit may actually entice buyers. Even if you don’t regularly use those spaces, when your home is on the market, you’ll want to make it look like they’re some of the coziest spots of your home! Show Buyers Some Summer Lovin. While you’re not physically able to change Mother Nature’s direction, you can offer prospective buyers a glimpse of what your home looks like when the grass is a little greener. Offer photos of your home during a warmer season, so they can see your perfectly-pruned landscaping and envision their very own back-yard barbeque – even through the snow and ice! Give Buyers Some Sugar. If all else fails when it comes to beating winter weather while your home is on the market, sweeten up your buyers by offering them a snack! It sounds so simple, but a delicious plate of cookies or brownies coupled with a warm beverage like spiced apple cider or even a cup of tea or coffee could go a long way in bringing on those warm thoughts about your home. 5 Tips to get more Financially Fit! It’s a new year, so that means a new you. Isn’t that the high hope that most of us set during this time of year? Whether your focus is on improving your health, finances or even picking up a new hobby in 2016, if you’ve already set the goal, you’re one step closer to achieving it! With the advancement of online banking, most financial institutions include a handy budgeting tool built into your online bank account. However there are online sources like Mint.com, BudgetTracker.com and many other sites that also offer great visibility into your financial picture. Online budgeting tools allow you to see where exactly you are spending your money and help you to set budgets of how much you should be limiting yourself to in order to save for your future (mortgage, debt, retirement…etc.). Make this year the year that you get familiar with your finances; select a budgeting tool, make realistic monthly budgeting goals and stick to them. 2. Make Financial Management a Family Affair. 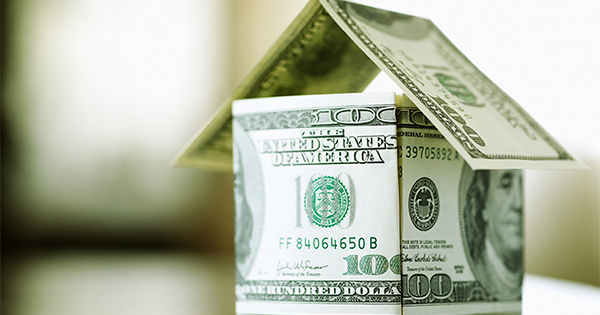 In some households, one spouse may hold the financial reigns while the other carries other important responsibilities, like maintaining the home maintenance or cleaning schedules. But, when two people understand the overall financial picture and are held responsible for budgeting, it is a lot easier to accomplish your financial goal. So tag-team those budgeting responsibilities for a better shot at success. 3. Eat Away Your Debt. Let’s face it, debt is not an appealing topic of conversation and is a major hindrance in seeing a clear financial picture. So why not make it interesting and turn it into a competition with your significant other, friends or family members. Vow to put an aggressive amount of your income toward debt each month, no matter how many birthdays, dinner dates or happy hours you’ve got planned. Then, give yourself a little monthly allowance. Put any leftover money from those allowances toward your debt. Check back on your contributions mid-year to see who’s in the lead, then check back at the end of the year to see which person contributed the most to their debt. You’ll be happy when the debt is gone, plus a little competition may just less-in the blow of paying it off. We’ve all been advised to save enough money to cover six months of our expenses in the event of a job loss or other life-altering situation. But, it is probably safe to say that a majority of people would not be prepared if something such as those situations were to actually happen. This resolution may take some time, particularly if you’re also working to aggressively pay down any debt, but those are not excuses to let this resolution fail before you even begin! Work your emergency fund allocation into your monthly budget. Most of us probably won’t be able to save a six month emergency fund in one year, but at least you will have started putting a decent amount of money towards the fund by the end of 2016. A fairly sure-fire way to increase your earnings is by investing. In hopes of increasing your wealth in 2016, talk with a financial advisor about possible bonds, stocks or mutual funds that may be worth considering. And, for goodness sake, if you’re not contributing toward your 401K yet, put that resolution on the very top of your New Year’s list! Whipping your finances into shape will help you save money for your future, whether that be to purchase a home, vehicle, retirement, etc…, and help you reduce your debt. Although we rang in the new year a little over a week ago, we can still cheers to a happy and financially healthy 2016! 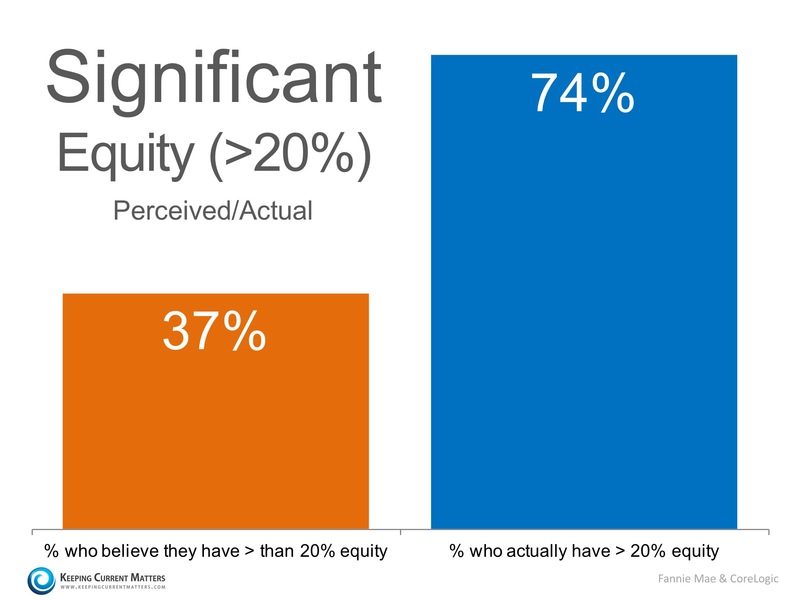 Do You Have Equity In Your Home? You May Be Surprised! Enjoy these great tips to improving your home to make it your happy place again! Multi-Generation households- the way of the future? Our February Newsletter discusses more in depth this family topic. Have you considered this? Would it work for your family?